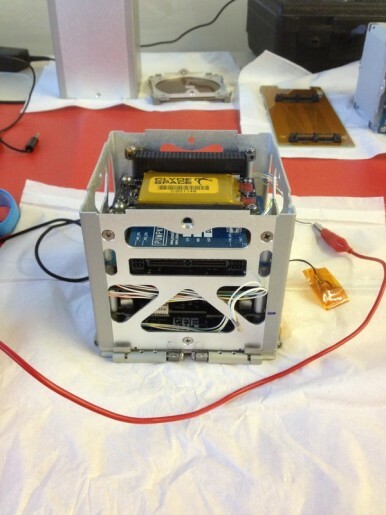 The Unix-Space-Server Langley is a three-Unit CubeSat built and operated by the U.S. Naval Academy. It is part of a concept study looking at the feasibility of deploying a constellation of small low-cost satellites to orbit capable of TCP/IP based communications to act as Internet servers in space to provide a faster link between clients and hosts without the need for a terrestrial network. The USS Langley development team consists of undergrad students and two professors at US Naval Lab. USS Langley also continues the study of the PSK-31 multi-user transponder and its application in future space projects. 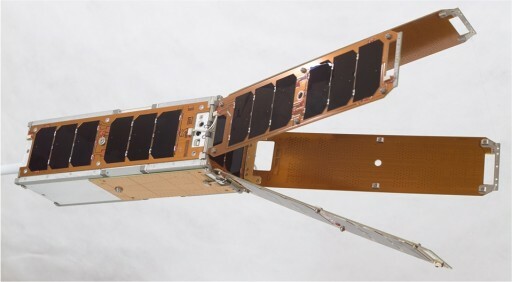 The USS Langley satellite uses a 3-Unit CubeSat bus procured from Pumpkin Inc. under the Colony-1 program of the National Reconnaissance Office. The bus facilitates all satellite support systems including the Electrical Power System that hosts 43 solar cells installed on 7 panels – four deployable solar panels each measuring 10 x 30 centimeters and three of the satellite side panels. Power is stored in a 20-Watt-hour battery and dedicated avionics are controlling the state of charge of the battery and conditioning the 8.3, 5 and 3.3-Volt power buses. The satellite uses a fully operational Attitude Determination and Control System with magnetometers, magnetic torquers, inertial measurement units and reaction wheels. The USS Langley satellite will act as a webserver and router in space using standard Internet Protocol (IP) and operating on the Linux operating system. The use of IP in space was first envisioned by NASA, but since its use in higher orbits is impractical, the idea was abandoned. Linux is also rarely used in satellite applications, and has never been employed as a space-based webserver. 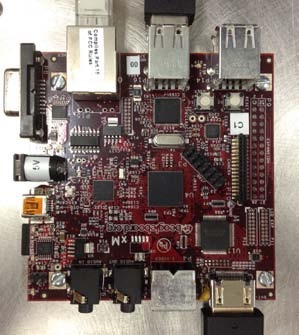 The main payload of USS Langley is a BeagleBoard-xM open-source computer powered by a TI Sitara processor that has been chosen due to its compact form factor and customizability. The satellite uses a 1GHz processor and 512MB of RAM memory plus a 32GB flash drive to store payload data. A dedicated module facilitates an HD camera that acquires photos of Earth that are then sent to the flash memory and placed on the website hosted by the webserver. The USS Langley satellite uses a 2.4GHz S-Band system for communications between itself and Remote Internet Users employing a 128-bit AES encryption and operating at a data rate of 935Kbps. The AW2400 AvaLan Wireless system has a transmit power of 1.7 Watts and a nominal receive power of 0.8 Watts. 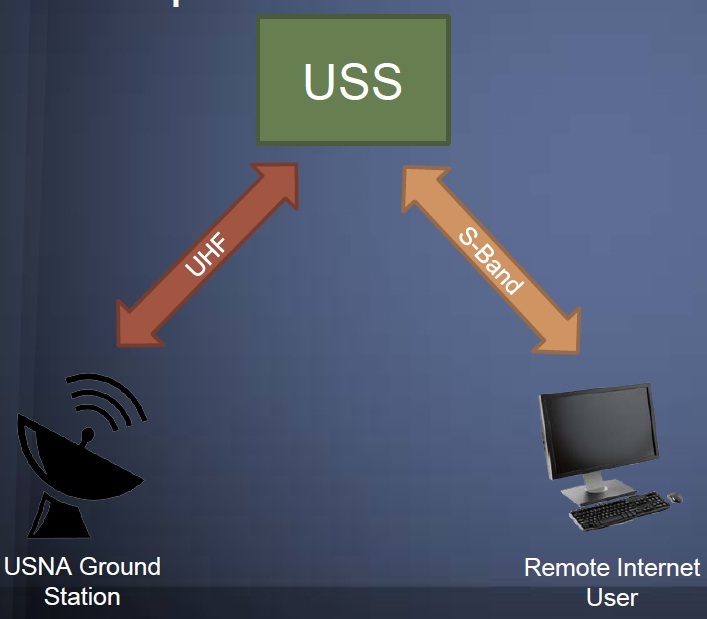 Command and Data Handling is accomplished in UHF using a standard communications terminal operating at the 435MHz frequency. Satellite management and Command and Data Handling is accomplished with an Arduino Pro processing system and a ArduIMU for GPS, Accelerometer, Magnetometer and Gyrometer operation. The satellite will provide webserver access to a ground station in Annapolis and other stations so that remote users can also access the website generated onboard the satellite via the terrestrial network. USS Langley also continues the in-space evaluation of the PSK31 Linear Transponder that operates in the VHF range for uplink at 145MHz and UHF for downlink at 437MHz. The transponder can be used by up to 20 amateur radio operators at a time to relay radio packets as short messages.